Please see here for the use registration method. 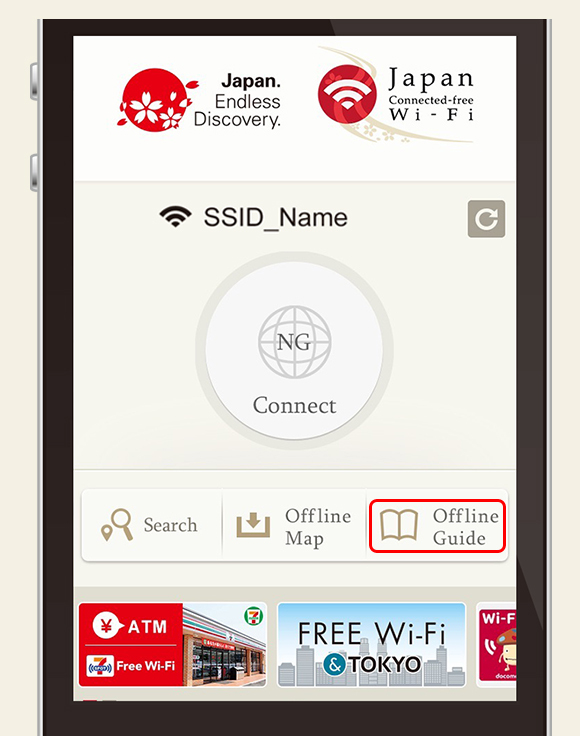 Please see here for the Wi-Fi spot search method. 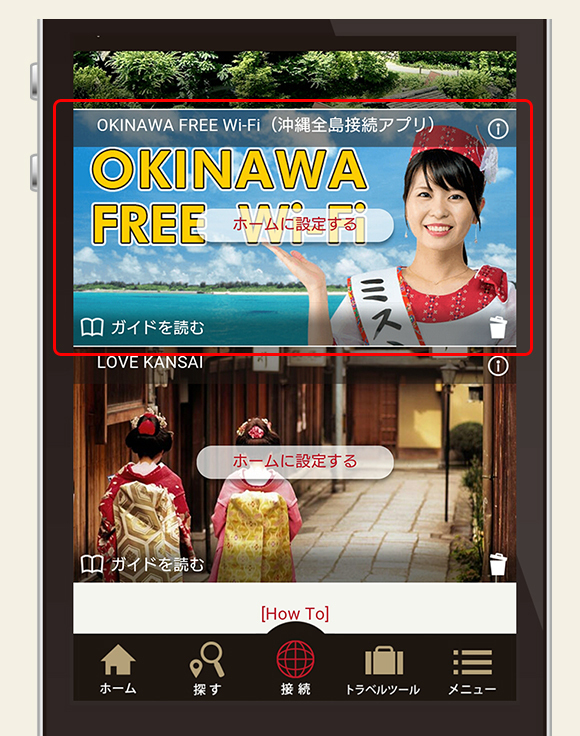 Settings for Okinawa Offline Guide ※The screens shown are those of an iOS. 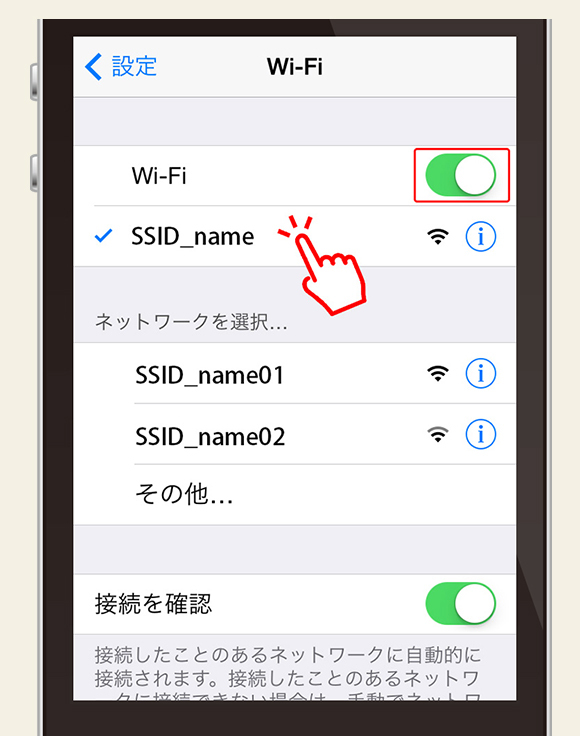 01On iOS, please make Wi-Fi connection ON in Setting. 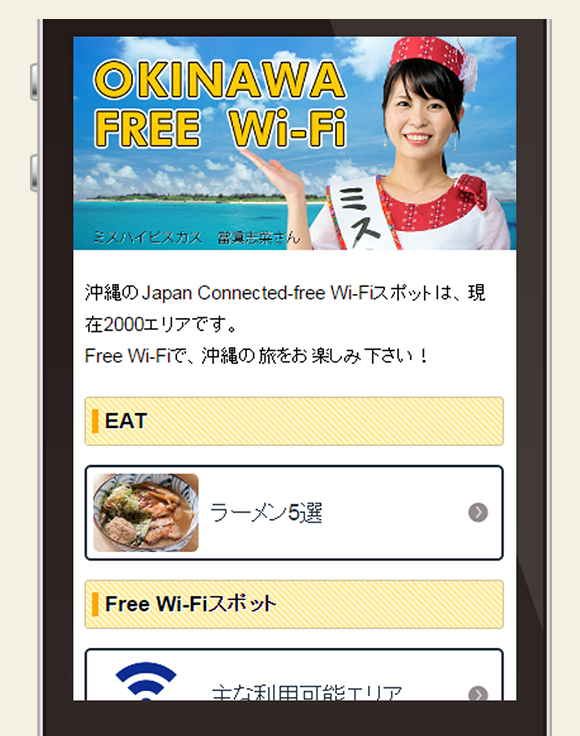 ※On Android, nothing has to be done.